The new Silcare Breathe liner from Endolite allows amputees to stay cool and comfortable all day long – a new direction in silicone liner technology. 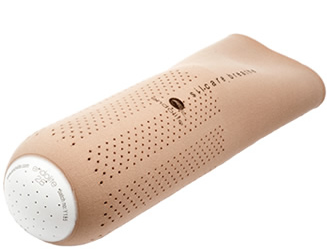 Silcare Breathe Liners feature laser drilled perforations along the length and distal end to allow moisture to escape, resulting in drier skin and a healthier environment for the residual limb. Managing moisture in this way helps to reduce the damaging effects of friction and improves comfort and control. The action of walking and weight bearing on the liner also expels air through the pores, and with the use of a one way valve, helps to generate a better vacuum and more secure fit, allowing the user to wear their prosthesis for longer as they benefit from an improved fit throughout the day. Optimally sized pores distributed uniformly along the length and distal end of the liner permit the escape of air and moisture. Seamless technical knitting technology provides bi-directional stretch to improve comfort and contouring, reducing shear force on the knee as it flexes. The silicone inside the liner is coated in our advanced TendresseTM finish meaning shear stress on the skin is reduced. The patented technology of Silcare Breathe works by letting air and perspiration normally trapped between the liner and skin escape through specially shaped holes. 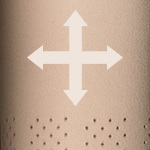 This helps increase comfort and reduce the damaging effects of friction on damp tissues often encountered with standard prosthetic liners. The motion of the person walking and pressing on the liner with their limb also expels air through the holes, and with the use of a one-way valve, helps to generate a better vacuum and more secure fit. Traditional vacuum systems expel air between the interface liner and the socket and can leave air and moisture trapped inside the liner. With Silcare Breathe, the perforations allow the vacuum to draw air and moisture not only from between the liner and socket but also from between the skin and liner to help improve suspension, security and comfort. 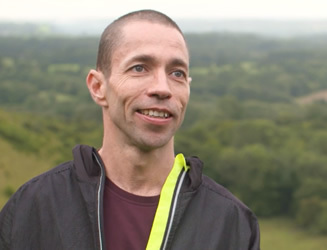 Adrian is a keen sportsman and regularly competes in Triathlons. His training is intense and the presence of sweat becomes a constant problem for him. Cassie spent the summer working in Sardinia. 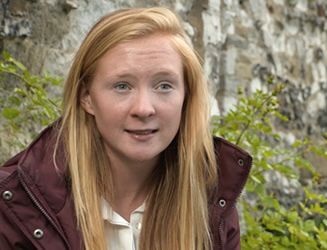 Now that she has returned home she’s spending time catching up with friends and family as well as being part of the #ThisGirlCan campaign by Sport England.